a SMO - You will be tested by a verbal and performance test. TRANSITION: Are there any questions over the purpose, learning objectives, how the class will be taught, or how you will be evaluated? Let us now discuss the definition of a Suspension Traverse. Q (5 Min) DEFINITION. A suspension traverse is a high- tension rope installation established at a suitable angle (not less than 30 degrees and not more than 65 degrees approximately) which allows a suspended load (no more than 250 lb. is recommended) to be moved over cliffs, ravines and rivers. NOTE: The limit of 250 lb. has been recommended not because the suspension traverse would fail, but it is about the limit that can be safely manhandled next to a cliff edge. TRANSITION: Are there any questions over the definition? Let us discuss the selection of a site for a suspension traverse. 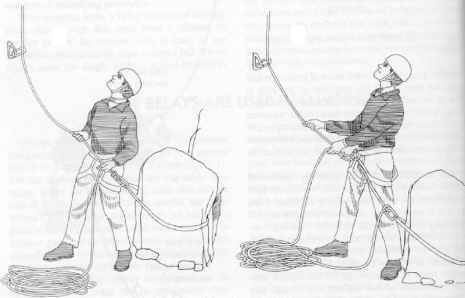 H Suitable upper and lower anchors must be available. 9 Good loading and unloading platforms. 3 Sufficient clearance for the load. TRANSITION: Now that we have covered where to establish the suspension traverse, are there any questions? Let's look at the construction.